Nintendo has revealed its lineup of games and amiibo it plans to release by the end of 2015. The list includes Star Fox Zero, Fatal Frame: Maiden of Black Water, Devil's Third, and a giant Yoshi amiibo. Nintendo will be releasing Star Fox Zero on November 20, 2015 and has announced release dates for additional games and amiibo. Nintendo has revealed the release date for the upcoming Star Fox game via an infographic highlighting all of its 2015 releases. When Star Fox Zero was announced for the Wii U at E3 2015, it only said the game would be releasing in Holiday 2015. Today’s confirmation means we should be able to enjoy the latest Star Fox game right before Thanksgiving. Nintendo also confirmed Star Fox Zero will have amiibo support. The roadmap also highlights some other games will be released across both the Wii U and Nintendo 3DS as we can expect Fatal Frame: Maiden of Black Water to release on October 22, Yo-Kai Watch on November 6, and Devil’s Third on December 11 among other previously-announced releases. 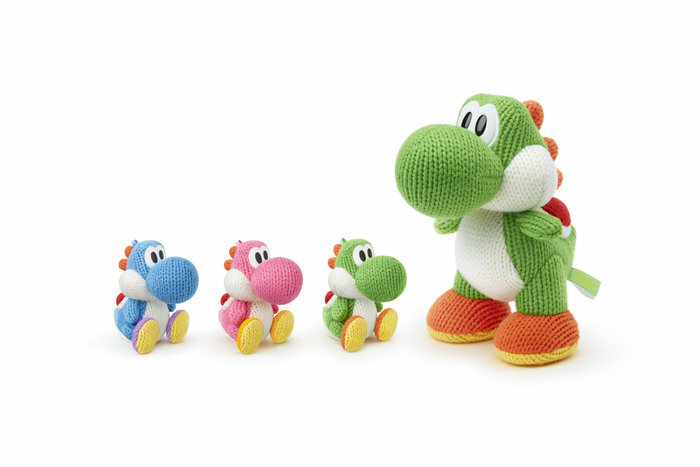 We’ve also learned the Yoshi’s Wooly World amiibo will be available for the game’s launch, as well as a Mega Yarn Yoshi amiibo that will be available on November 15. The Mega Yarn Yoshi amiibo will retail for $39.99 and when it’s used within Yoshi’s Wooly World, this amiibo will activate a “Double Yoshi” ability. The ability allows for a second Yoshi to be usable at any point during play, as well as saving the player’s favorite Yoshi pattern. I was only going to get the blue Yoshi, but dammit now I need to spend $40 on a giant plush toy. I am a child trapped it a larger, harrier child's body. I just want a little one not the giant one. I am friends with enough people who have children the right age to be mesmerized by the thing that it will be worth it just for the looks on their faces.